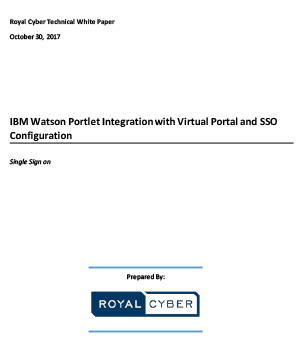 This white paper is an introduction to IBM Watson portlet integration with the virtual portal in IBM WebSphere Portal. Moreover, it also covers how to configure IBM WebSphere Portal with Single Sign on (SSO). IBM Watson portlet integration is not supported with the Virtual portal in IBM WebSphere Portal. This paper discusses the approach that can help in resolving this constraint.